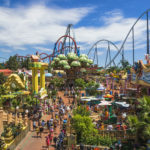 Treat your children to an unforgettable day out by taking them to one of these 3 amusement parks on the Costa Brava. These are suitable for younger and older children and they will leave a lasting memory for every member of the family. 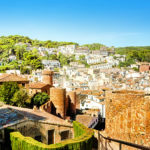 Share some incredible moments of emotion, laughter and adrenaline during your stay in Tossa de Mar. Ready?! Marineland is a 2 in 1 water park on the Costa Brava: enjoy marine animal shows and a variety of water attractions. Offer your children the opportunity to admire dolphins, whales and even parrots close up! They can also have fun (and so can you) in the various pools and slides-attractions in the park. There are a number of water games for children, for different age groups. You can also enjoy the relaxation areas around the pools. This is the perfect family activity, especially when the weather is hot. 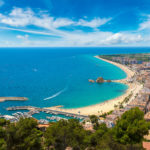 Located just over 30 minutes from Tossa de Mar by car, south of Blanes, this park promises some memorable moments of excitement and emotion! Admission: €10 for under-5s; €17 for ages 5 to 10 and over 65s; €27 for ages 10 to 65. Fancy a holiday rental with a pool? Consult the list of villas for rent in Tossa de Mar and treat your family to a dream holiday! Rent a villa with a pool in Tossa de Mar. 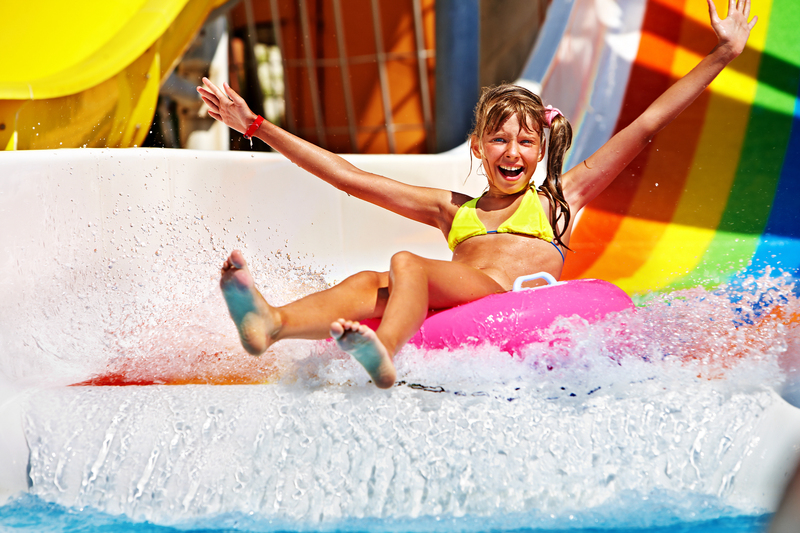 Staying with the water theme, Waterworld is the not-to-be-missed water park on the Costa Brava. With more than 30,000 m² of attractions and fun facilities, your children are going to have a great day out! At just 20 minutes from Tossa de Mar, Water World is located just next to Lloret de Mar, in a pine forest. The attractions are suitable for a varied public and there are spaces dedicated to younger visitors. 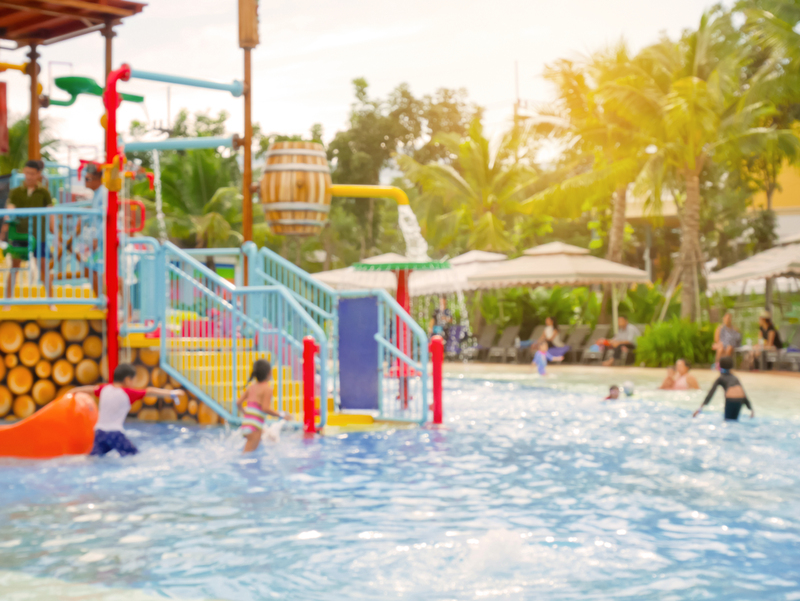 Kiddie Island and Kids Water World are quieter spaces with play areas for children under 6. There is even a brand new pirate ship! The park also offer slides for children and adults, and the slopes are either gentler or more sensational depending on the attraction. If you are on holiday with children of different ages, it is the perfect place to satisfy everyone! La Calma and the Family Laggon allow the whole family to come together in one place. Admission: €33 for adults (over 1.20m); €19 for children between 80cm and 1.20m; free for children under 80cm. There is also a family ticket for €85. Address: Ctra. Vidreres, km 1,2, Lloret de Mar. In this park dedicated to children, gnomes, those little magical beings, are kings! This is the enchanting theme that your children will discover through various fun and educational activities. GnomoPark is located south of Lloret de Mar in the heart of a Mediterranean pine forest. In a natural open-air setting, younger children will have a fabulous time! 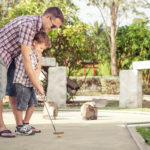 – Adventure Golf, a crazy golf course with 18 holes to do as a family! Located among the pine trees, the mini-golf in Gnomo Park sees you wind your way among the gnomes. 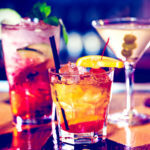 This activity is not just for kids! – Children’s play area – it is exclusively for children under 12. There are both indoor and outdoor activities. Among the many attractions, young children will love the ball pool, the mini-karts and the water games. – The interactive playroom is a place that even bigger kids won’t be able to resist! Its arcade and video games, its pool table and 2 bowling lanes make it a perfect place to play as a family.